When Nichola Davies’ daughter Stacey was born with a bowel condition she had to give up work to look after her. It was a difficult time and she didn’t think she was a ‘carer,’ who needed support to fulfil her new role. Nichola did eventually seek the help of the new Cheshire West Carer Support Service, commissioned by the council and the NHS, which offers access to a range of services to support people who provide unpaid daily care for a friend or relative. People who carry out this caring role often don’t consider themselves to be ‘carers’ as such. However, the job is tiring, time-consuming and life changing. It impacts on people’s health, friendships, finances and professional lives. Regular breaks from their daily caring role. Group activities where they can meet and make friends with others. Training in relevant topics such as first aid and moving and handling skills. Advice on issues such as benefits and medical issues. Nichola’s daughter is now 18. Her bowel condition has improved but she developed asthma and autism as she got older. Nichola also cared for her nan who had vascular dementia before her death two years ago and now looks after her grandad who has been diagnosed with the same condition. She has benefitted from the many varied support services on offer. She said: “Being in a caring role, you lose all your friends. They always ask you if you want to go out in the evening and I had to say no because I would have nobody to look after Stacey. When I started using the services, I built good friendships with the other carers. Cheshire West and Carer Support Service is led by the Cheshire and Warrington Carers Trust and comprises local organisations who, between them, offer carers a comprehensive range of support. In our borough, there are resource centres in Northwich, Chester and Ellesmere Port. Alzheimer’s Society: One to one specialist support for carers of, and people with, dementia. The Bren Project: Raising awareness of carers’ needs with employers. CarersTrust4All: Offering respite service to encourage carers to take a break, by offering one to one personal care at home for the person with care needs for up to 12 weeks. Making Space: Support for carers of people with mental health issues and learning disabilities. Neuromuscular Centre: Emergency respite care for adults with a neuromuscular condition. Rural Community Services: Respite service offered to carers in rural west Cheshire to enable them to take a break and take part in an activity. Andrea Duckworth of Chester is a mum and primary carer to her two children. Her eldest child, who is 21 has cerebral palsy and hydrocephalus has had brain surgery three times, most recently last year. It is likely that he will need further brain surgery in the years to come. 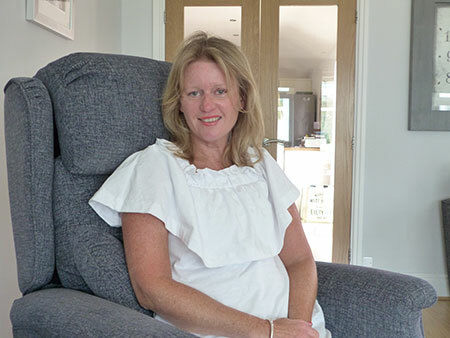 Andrea gave up her career to look after her son, after he had a brain haemorrhage shortly after birth. She saw it as her 'project' to ensure that he had the best outcome in life. Andrea has no regrets about being a full-time mum for the most part of his life but says that as he was growing up it was exhausting at times and that it was 24/7. Andrea said: “At the age of one he was diagnosed with Cerebral Palsy. We moved to Chester when our son was 4 years old and our daughter 20 months old. With education, social services, leisure and employment it falls to the parents to sort out issues. Funding is very limited and services are disjointed. 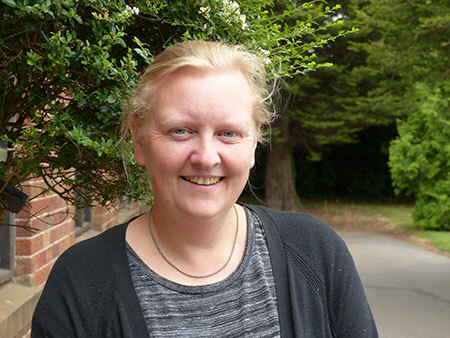 Over the years Andrea has benefitted from the Cheshire West and Chester Carer Support Service. She has attended courses to up skill to enable her to be more equipped to deal with things. She has also enjoyed parent carer days, meeting others in a similar position. She has also had the occasional break away which she says has helped her recharge and refocus. If you are an unpaid carer of friend or family member and wish to access the services offered by the Cheshire West Carer Support Service contact 0300 102 0008. Or email advice@cheshireandwarringtoncarers.org.